Jonas Kroon has released his first cinematic album during 2011, and it didnвЂ™t take very long to answer the essential question of whether I believe his first release entitled Melo would be of interest to my site visitors. 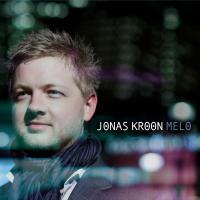 Another point that answers the question of whether Jonas Kroon and Melo would be the perfect candidate is the quality of his first album, along with the proven experience he has demonstrated as a music specialist, even though this is technically his first release. Jonas Kroon is a Norwegian composer, producer and artist taking full advantage of his tenure in the music business to produce one of the most unique debut albums I have heard in recent memory. As one might imagine this artist from Norway reveals his years of experience directly into his first product which sounds more like something you would expect from a musician with several best of the year releases or chart topping albums. Riviera is a Sweden based global music company with a branch in Oslo Norway, where Jonas is currently employed producing artistic scores for the firm. During his time with Riviera, Jonas produces commercials, feature films, and television programing which have clearly given him an edge for his first release. Developing his talents along the way with a company handling accounts like IKEA, Burger King, McDonalds, Volkswagen, Saab and Volvo does make his technical edge and cinematic expertise noticeably sharper. Melo is a 2011 AMAdea Records release having a unique identity of its own character since Jonas had the freedom to compose his first album without the usual constraints of what various clients may have expected for him to produce. The 14 songs represent a renewed focus on creating cinematic music composed to his personal taste and perceptions which has led to a great album. After reading the list of film composers he favored including Hans Zimmer, Danny Elfman and Howard Shore, I couldnвЂ™t agree with him more on his choices of top film score composers. Melo is very much Cinematic with a composite of World and Ethnic influences from beginning to end, relying on electronic and symphonic elements along with wonderful percussion rhythms. The up-tempo songs Her Er Eg, Fakir Fusion & Into the Wild were my top favorites, along with violin and guitar version given on The King, with each featuring exotic without lyric vocals and orchestra instrumentals. However the more moderate in time songs Element, Zanzibar & Highland are just as worthy by highlighting colorful vocals with rich instrumental setting of cello, flutes, guitars, keyboards, violin and percussion which is a prominent feature on the entire album. Melo is likewise the name of the 14 member band of international musicians Jonas selected to become the foundation for his album. The 14 member band whose first concert was in 2007 at the Paul McCartney Auditorium in Liverpool England was off to a great start right from the beginning. Formed in 2006, the band members in Melo represent the nations of Norway, Sweden, UK, Poland, Bosnia and Hungary. Special thanks to John P. Olsen for this review. Listen and order you copy of Melo here.